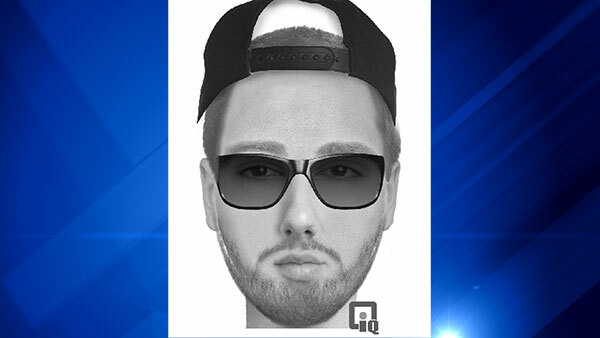 Composite image of the man who police say attacked a woman walking on Illinois Prairie Path. UNINCORPORATED WHEATON, Ill. (WLS) -- The DuPage County Sheriff's Office is asking for the public's help finding a man who attacked a woman walking on the Illinois Prairie Path Monday. Police said the woman was walking between County Farm Road and Pleasant Hill Road, north of Peter Road and Churchill Road, in unincorporated Wheaton around 3:30 p.m. when a white male suspect approached her from behind and grabbed her. The woman was able to fight him off and escaped unharmed, police said. The suspect fled south on an access path toward Churchill Road and Peter Road. Police said they believe the suspect has left the area and there is no threat to the community. Police describe the suspect as a white male with black or dark hair, 20-30 years old, with a medium muscular build and unshaven face. Police said the man was wearing sunglasses, a black baseball hat worn backwards, red t-shirt with cut-off sleeves and black pants. If you have any information about the suspect, call Det. Rob Dubeck at the Sheriff's Office at 630-407-2400.